Earlier this year, Miles Morales—the half-African-American, half-Latino teenager who became Ultimate Spider-Man in 2011—took over the title of plain old, unmodified Spider-Man in the All-New, All-Different Marvel Universe. Thankfully, an outfit called Bard Tales Productions have given a little gift to Morales fans, making this seven-minute Morales-as-Spider-Man short called Spider-Man Lives: A Miles Morales Story. It starts shortly after the death of Peter Parker, with Miles’ cop dad saying that Spider-Man was just a “freak in a costume,” and ends with Miles embracing his gift after a showdown with B-list bad guy Kangaroo. 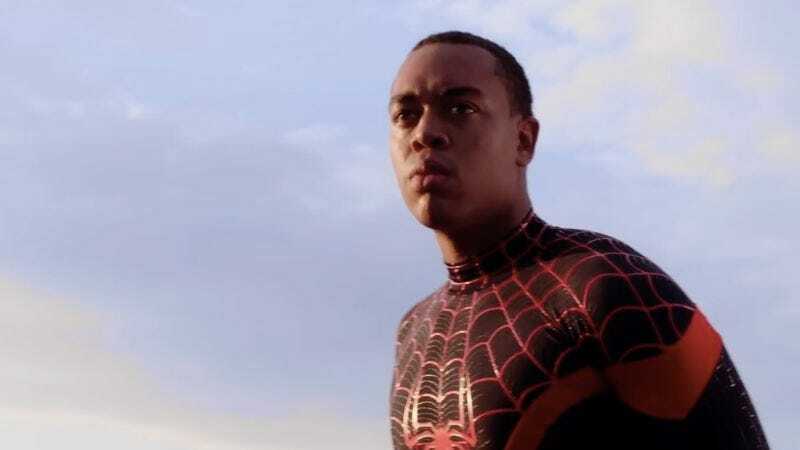 Maybe if more of these fan-made Miles movies start showing up—and especially ones as good as this one—it will be enough to convince Marvel to give Miles his own movie. Fingers crossed.